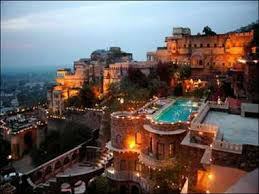 A preferred but slow mode of travel, train journey kills the fun of stopping by at intervals and viewing the attractions that the route to Neemrana has to offer. Prior bookings and ticket confirmation worries can make travelling a burden. So book a cab from Wiwigo,com the day you want to take your journey and forget about confirmations and restrictions! Although another way to reach Neemrana from the capital city, you need to wait for ticket bookings and confirmations and traverse extreme weather on bad roads, made worse by a bus journey. When you could instead take a handpicked cab form Wiwigo.com at a much cheaper price than even a volvo.